By authority of G.S. 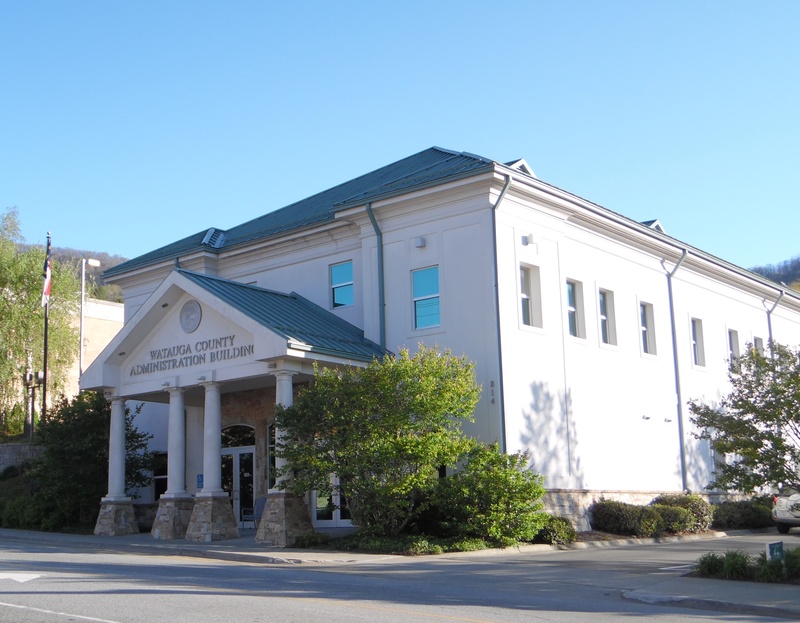 153-81, Watauga County has operated under the County Manager Plan of Administration since 1977. The Manager, Deron Geouque is the Chief Administrator of County Government. The Manager is assisted by the Clerk to the Board of Commissioners, Anita Fogle, the Human Resources Coordinator, Monica Harrison, and the Assistant Human Resources Coordinator, Tammy Adams. The Administrative Unit also consists of the Finance Department and Department of Information Technologies. The County Attorney, appointed by the Board of Commissioners, is di Santi, Watson, Capua, Wilson, & Garrett, PLLC. "He/She shall appoint with the approval of the board of commissioners and suspend or remove all county officers, employees, and agents except those who are elected by the people or whose appointment is otherwise provided for by law. The board may by resolution permit the manager to appoint officers, employees, and agents without first securing the board's approval. The manager shall make his/her appointments, suspensions, and removals in accordance with any general personnel rules, regulations, policies, or ordinances that the board may adopt. The board may require the manager to report each suspension or removal to the board at the board's first regular meeting following the suspension and removal; and, if the board had permitted the manager to make appointments with board approval, the board may require the manager to report each appointment to the board at the board's first meeting following the appointment." "He/She shall direct and supervise the administration of all county offices, departments, boards, commissions, and agencies under the general control of the board of commissioners, subject to the general direction and control of the board." "He/She shall attend all meetings of the board of commissioners and recommend any measures that he/she considers expedient." "He/She shall see that the orders, ordinances, resolutions, and regulations of the board of commissioners are faithfully executed within the county." "He/She shall prepare and submit the annual budget and capital program to the board of commissioners." "He/She shall annually submit to the board of commissioners and make available to the public a complete report on the finances and administrative activities of the county as of the end of the fiscal year." "He/She shall make any other reports that the board of commissioners may require concerning the operations of county offices, departments, boards, commissions, and agencies." "He/She shall perform any other duties that may be required or authorized by the board of commissioners."